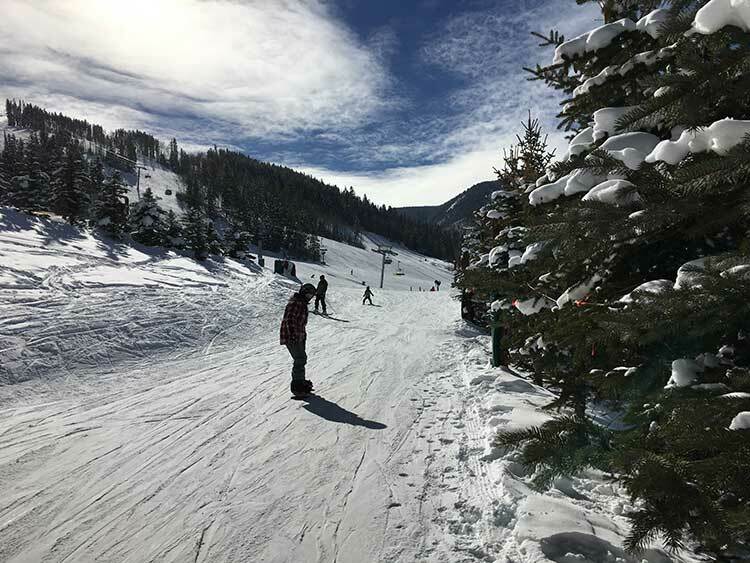 Mountain TravelingMom says her home state of Colorado boasts some of the best family friendly ski resorts in the world. The 300 inches of average snowfall and 300 days of sunshine in the majestic Rocky Mountains make it one of the best places in the world to ski. And, there are so many choices of ski resorts that cater to families. 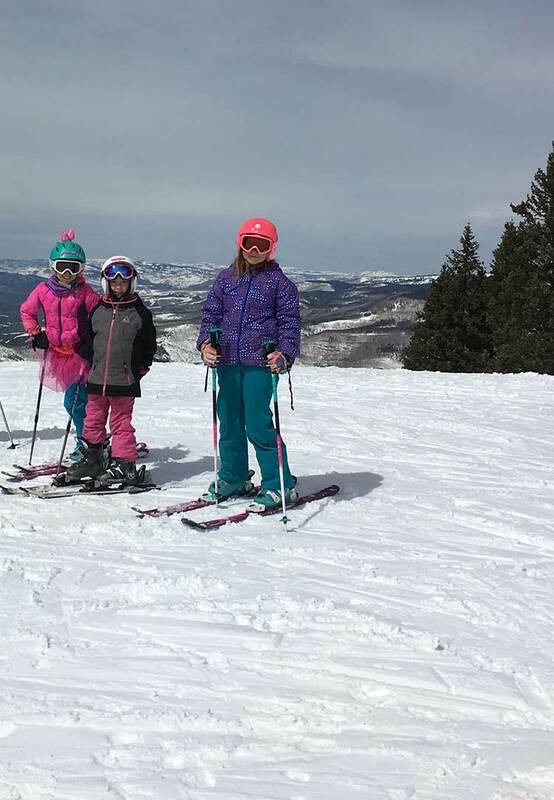 To make our list of family-friendly ski resorts in Colorado a resort must have accommodations available either slopeside or in a base village convenient to the mountain. Or, they must have ski valet or some other service that makes schlepping gear easier. They must offer amenities and events that cater to families. Some of these resorts may be better suited for younger children or first-time skiers. 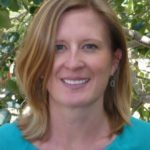 And, some may be better for families with teens who want a freestyle park or to watch an exciting ski or snowboard championship. 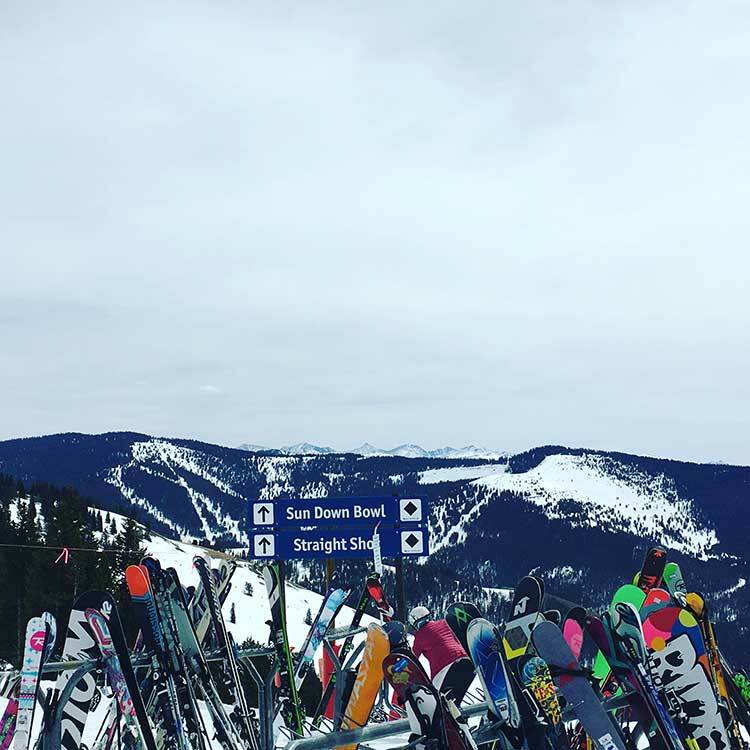 Vail Ski Mountain boasts 5,289 skiable acres, 195 runs and 31 lifts with a variety of terrain for skiers of all abilities. Adventure Ridge located at the top of Vail Mountain offers a fantastic variety of winter activities including snow biking, a kids snowmobile track, a slippery slope of rip-roaring tubing lanes and more. New in 2017 Vail Mountain has designated 63 acres to family learning and designated slow zones. All zones are located on beginner green runs and progress across the mountain from Eagle’s Nest to Game Creek. There really is something for everyone on Vail Mountain. There are plenty of groomed runs. Vail even has some areas in the back bowls that have a fair amount of intermediate runs. Blue Sky Basin is my favorite. It is so expansive and has some really fun runs. My office is about 150 yards from Vail’s ski lifts, so it is clearly my favorite mountain. But it isn’t just the proximity that I love. It is also the expansive terrain. A clean, convenient and free bus system makes everything within town accessible, including world-class dining and shopping. 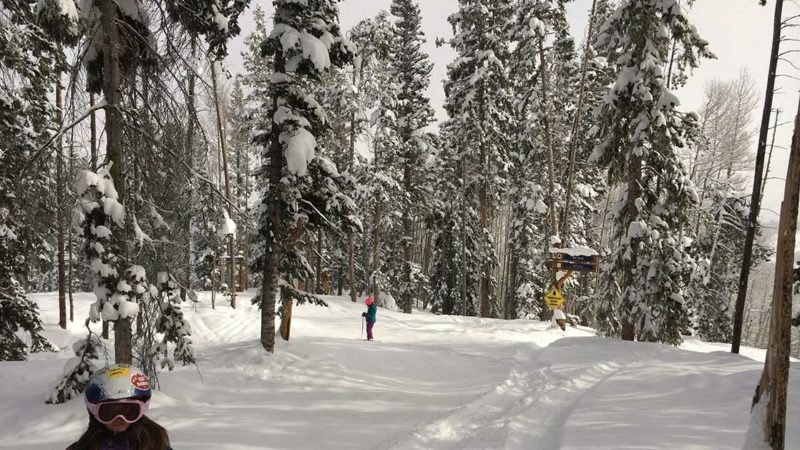 Beaver Creek Ski Resort has 1,832 skiable acres, 150 runs, and 24 lifts. This is the ski resort where our daughter learned to ski. The resort’s Buckaroo Express Gondola and Buckaroo Bowl are perfect for beginner skiers and young kids. Our 9-year-old always hits Jack Rabbit Alley, Ghost Town and Candy Cabin on her tour of the mountain. New for the 2017-2018 ski season, Beaver Creek is debuting a new 200-acre family learning area accessed by a new high-speed lift. Red Buffalo Park is located at the mountain’s highest elevation at 11,440 feet. It provides 13 trails designated as a family adventure zone and features family-friendly amenities such as snow sculptures throughout the park. Also, the park boasts Kids Adventure Zones and a dedicated Ski School Skills Zone. Beaver Creek rolls out the red carpet for ski guests every afternoon with fresh baked chocolate chip cookies warm out of the oven. These are served on silver platters by servers dressed in white coats and chef hats at 3 p.m. just as ski school is letting out and guests are heading down the mountain. Beaver Creek has ski-in/ ski-out accommodations. Additionally, the resort also does a good job of making everything within the resort accessible. A free shuttle and bus system runs every few minutes throughout the homes and condominium complexes to a main bus stop. Keystone Ski Resort has 3,148 skiable acres, 128 runs, 20 lifts. They boast a Kids Ski Free program, which provides free lift tickets for kids 12 and under when guests book just two nights of lodging with the resort. Families can look forward to the resort’s Kidtopia Spectacular in December, the first-ever Kidtopia Culinary Festival in February, and the Kidtopia Music Experience in March. The resort also offers off-mountain activities such as snow tubing, family snowcat tours, ice skating, sleigh rides and more. Free designated family parking areas and little red wagons to help tote gear and kiddos to and from the slopes make the experience easier. Families with older kids may want to try out a Family Private Lesson. Then they can spend more time together learning on the snow. Sounds like the perfect way to spend the day to me! 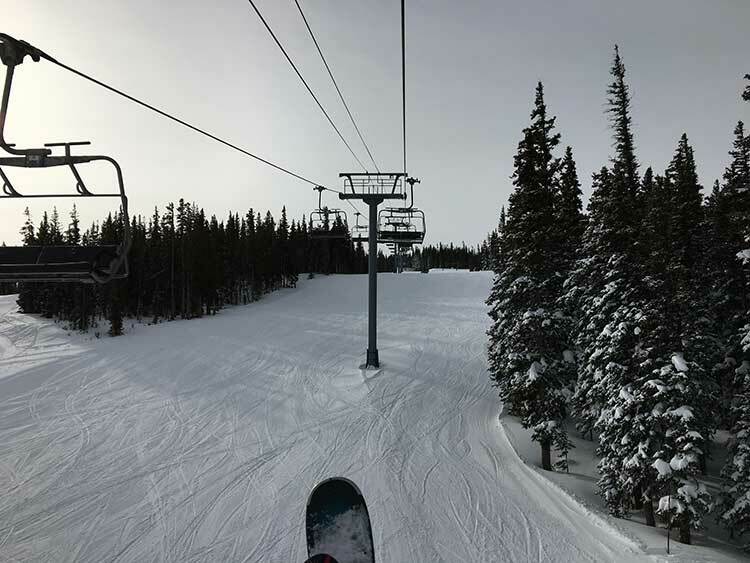 Between Snowmass, Aspen Mountain (Ajax), Aspen Highlands and Buttermilk skiers will find more than 5,300 acres of skiable terrain, 337 runs, and 42 lifts. Families can rent kids equipment (ages 7 to 12) from Four Mountain Sports, and they’ll get a free lift ticket. Rent as often as you like between January 1 – April 15, 2018, and they’ll provide complimentary lift tickets for the same amount of days on their rental. A new fun perk for families who happen to be visiting when it snows 8” or more is free Powder Pancakes served at select mountain restaurants. A Colorado favorite, Copper Mountain is known for its 2,490 skiable acres, 142 runs, and 23 lifts. The naturally divided terrain has distinct sections of advanced, intermediate and beginner trails providing plenty of options for all skiing and riding ability levels. An excellent ski school and a large amount of beginner terrain make it ideal for families. 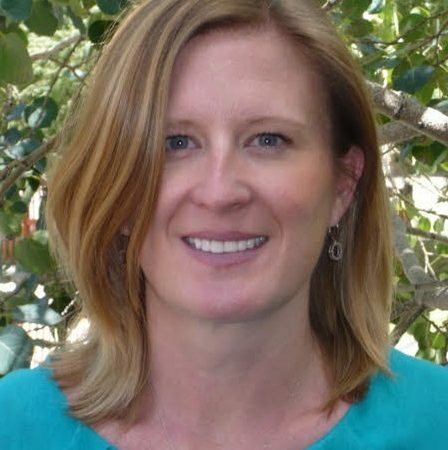 Read more about what Copper Mountain has to offer families from Traveling Grandmom, Diana Rowe. Breckenridge Ski Resort has 2,908 skiable acres, 187 runs, and 34 lifts. But more importantly, it also has a charming Main Street with lots of dining and shopping options. Young kids will enjoy Peak 9 where they’ll find beginner terrain as well as great spots for breaks. Skilled teens will dig Peak 10’s more challenging runs. Families may enjoy sleigh rides, dogsledding, ice skating or the speedy alpine coaster. Kids want a break from the slopes? They may enjoy a day out at the Mountain Top Children’s Museum. 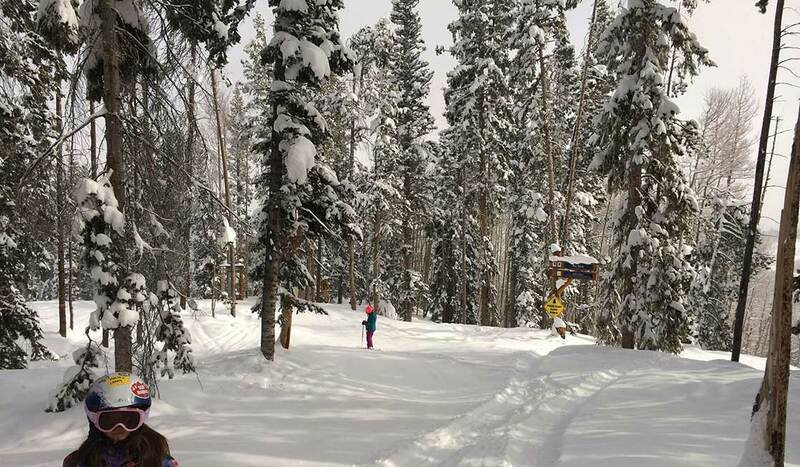 Winter Park has 3,081 total skiable acreage, includes 166 runs and 25 lifts. A ski train going between Union Station and Winter Park enables guests to skip the driving. A tip for more advanced families is to book First Tracks. This includes a guide for 90 minutes as well as early access to the mountain for only $159 for up to 5 people. First Tracks is available to blue, blue black, and black trail skiers and riders only. This tour helps with advanced skills on the bumps and showing skiers runs they may not have yet skied. There are many other Colorado ski resorts that didn’t make this list but still have something to offer for families. Some of the smaller resorts offer more affordable lift tickets and ski lessons, but may not have slopeside lodging. Tell us below if you have a favorite family-friendly ski resort that we missed on our list! Ah ha, Steamboat is another good one! You know I’ve been there a couple of times in the fall. Guess I’d better get over there this winter and experience the ski mountain. 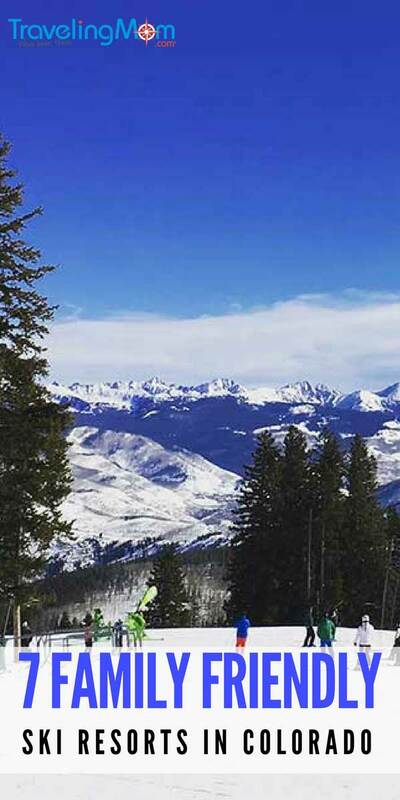 Vail should definitely be on your list. The terrain is expansive and has something for everyone.